A professor stands in the front of the class and delivers a lecture. Students may jot down notes—they may not. A discussion may occur—it may not. Questions may be asked—they may not. Students take exams, write papers, complete class evaluations, and receive grades. We hope they learn. While this model of the college lecture may not be going the way of the dodo quite yet, even major research institutions—historically more concerned with obtaining grants than teaching undergraduates—are starting to get on the accountability bandwagon. As pressure grows for universities to show that their graduates walk away from college with more than a parchment and debt, more administrators and instructors are looking to data to improve student learning. The lecture’s critics claim the teaching model is nothing more than a cheap way for colleges to deliver information to large numbers of students, a curse to researchers duty-bound to teach and a chore to withstand for fidgety undergraduates. 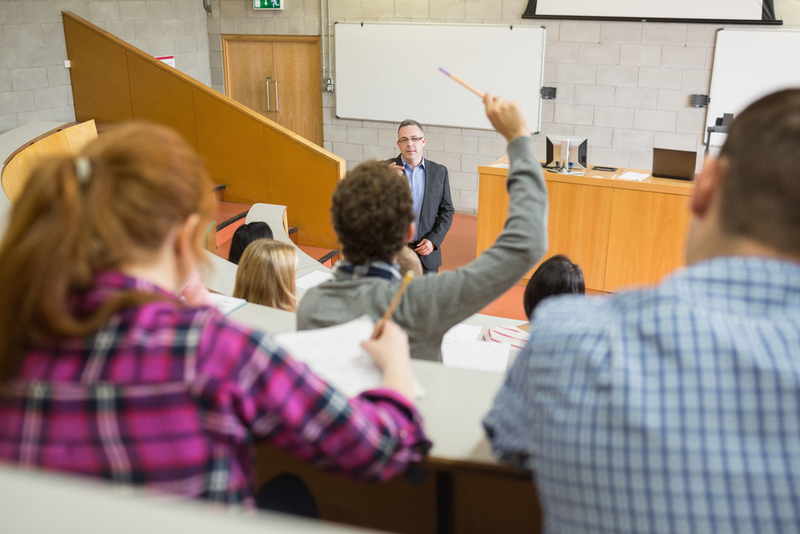 It is no wonder that as the price tag for an undergraduate education rises, so does attention to quantifiable results, and one of the first practices being examined is the lecture. To address the issue, some campuses use clickers to gauge student comprehension during lectures. Via remote control, the devices allow professors to test understanding by posting responses to questions instantly. However, more sophisticated ways to garner data are being developed. The University of Michigan uses LectureTools, a program that allows students to follow lecture slides on their own devices as it collects data that measure their reactions to the lecture. Students can take notes right on the lecture slides, respond to questions, and ask questions in real time. The application’s inventor, Prof. Perry Samson of the University of Michigan, designed the tool so that instructors could use actual data to gauge the effectiveness of their teaching. As a professor pulled between research and teaching, he understands his colleagues’ reticence in adopting new technology, so he designed the tool to mesh with individual teaching styles. Instituting large-scale changes to such an entrenched model of learning as the lecture will not be easy. Ordering professors to change doesn’t work, says Martha E. Pollack, a provost at the University of Michigan. To sweeten the pot, some universities offer grants in hopes that framing new learning approaches as research opportunities will appeal to professors. The goal is not to proscribe one way of teaching but to excite professors about innovation, she says. What are your thoughts about lecturing? Share your experiences with us! This entry was posted in 2. Featured Articles and tagged Lecture, teaching, technology on September 24, 2014 by bizcombuzz.